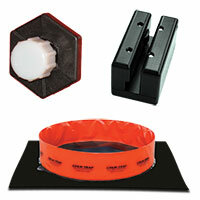 The Andax Tank Trap™ and Chem-Trap™ are the absolute fastest containment products on the market. Open in less than 3 seconds! If you can unzip the carry bag, you can easily deploy a pop up pool. The Tank Trap™ instantly opens to 20 times its stored size. 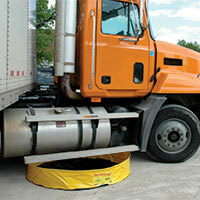 Whether it's a small spill or a highway accident, the Tank Trap™ is immediately on the job. Best of all, it's reusable. The Tank Trap™ cleans up in a snap because there are no pockets or folds to trap liquids. 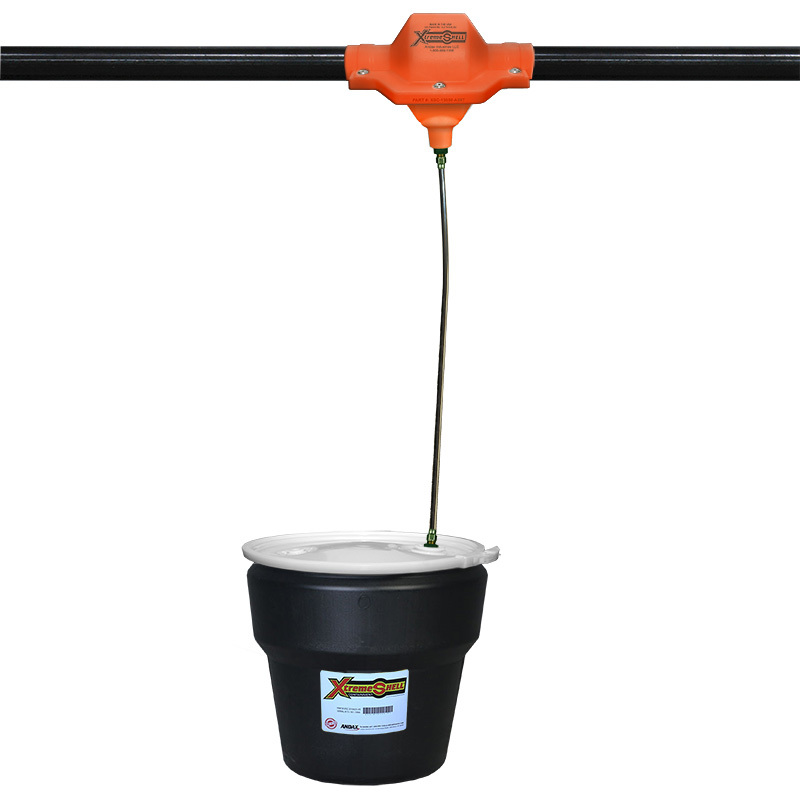 The standard Tank Trap™ is ideal for containing fluids on relatively smooth surfaces. 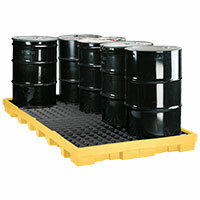 For storing or containing drums and other heavy objects on rough surfaces, use the super duty base Tank Trap™. The Chem-Trap™ offers complete chemical resistance for containment of spilled chemicals, pesticides, acids, washing solutions and caustics. It features a heavy-duty puncture-resistant base and a smooth interior for easy cleanup. 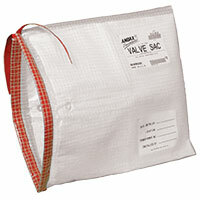 Andax's patented Valve Sac™, Valve Boot Sac™ and Flange Wrap™ are easy to install. Just slide on, label and leave. Once installed, their unique design allows you to visually check the contained fluid levels, so there is no question about the status of the valve or spigot. The Valve Sac™ and Valve Boot Sac™ are thermally bonded and cinch tightly around the valve. They come right off the shelf in different sizes and are 100% customizable. The Flange Wrap™ has dual cinches to encapsulate the flange on both sides of the pipe. 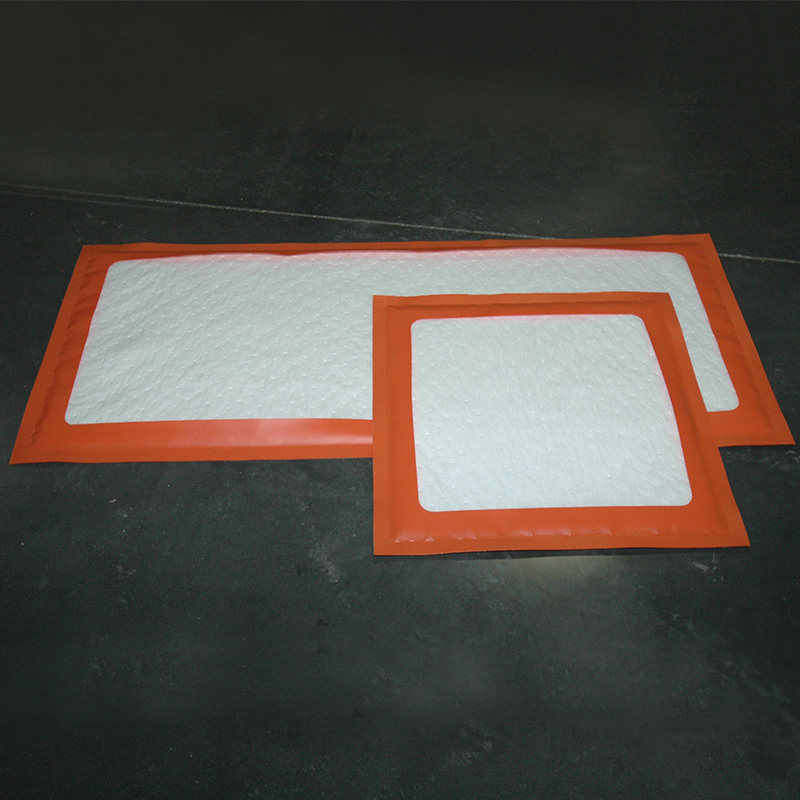 All three products come with leak documentation labels, and they're available in oil-selective and universal absorbency configurations. Andax offers the Original patented Transformer Sac™ and Insulator Bushing Sac™. We designed the Transformer Sac™ containment bag for utilities to comply with all governmental and industrial safety regulations. 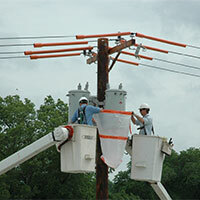 We manufacture many types, sizes and styles of the Transformer Sac™ including models for Pole and Pad Mounts with outdoor weather caps and Multi-Height units with built in cap height adjustability. Choose from our standard sizes or call us and we will make one the exact size you need! PLEASE NOTE: Andax recommends you follow all safety regulations for transport of damaged/leaking transformers. 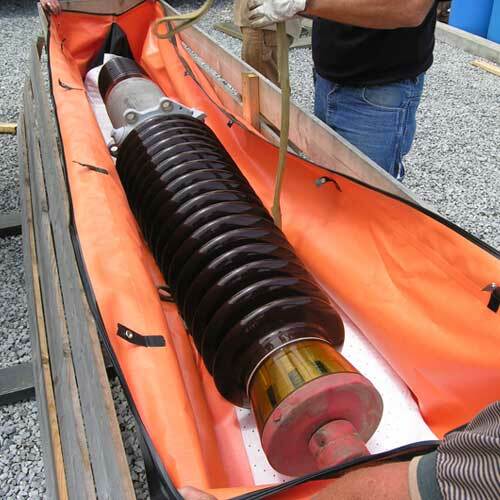 When moving or transporting a transformer, it should always be lifted by the manufacturer-installed “lugs.” A transformer can be “bagged” to contain any leaking oils; however, you should NEVER lift a transformer by the straps installed on FIBC bags.